By Xah Lee. Date: 2016-10-04 . Last updated: 2017-09-15 . 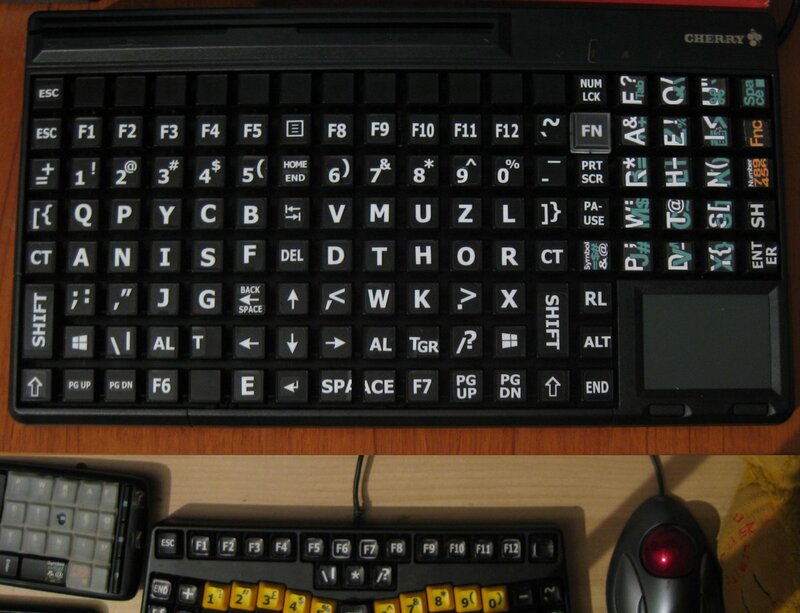 The keyboard that solves all your key macro needs. 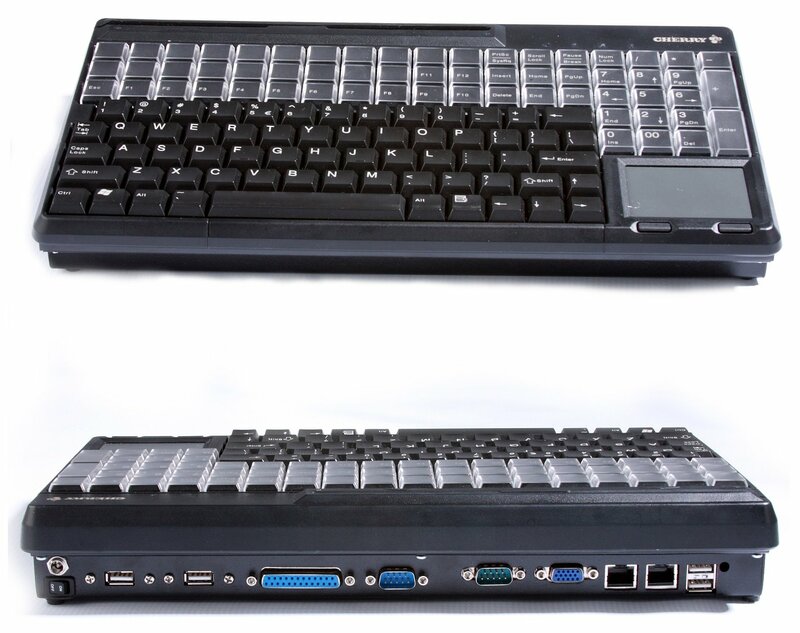 Encryptable, black 14″ USB keyboard with 3-track magnetic stripe reader and touchpad. US Int'l 123 position key layout with 20 additional keys. 123 programmable and 60 relegendable keys. IP 54 spill and dust resistant key field. Includes ‘CHERRY Tools’ configuration software and UPOS drivers. Alternative version with number pad instead of trackpad. 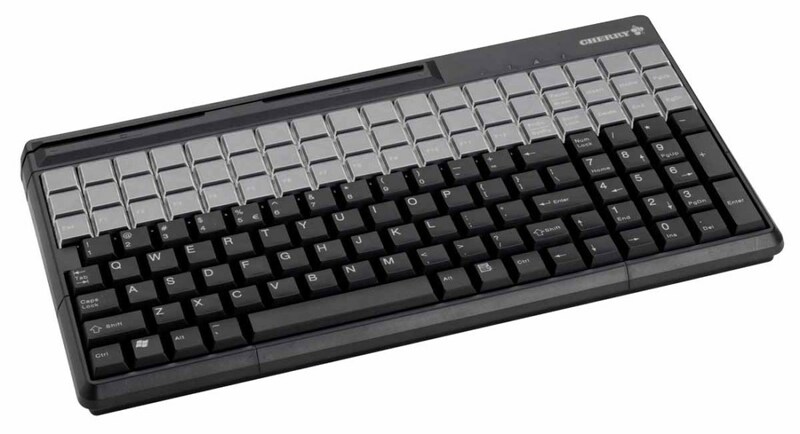 Encryptable, black 14″ USB keyboard with 3-track magnetic stripe reader. 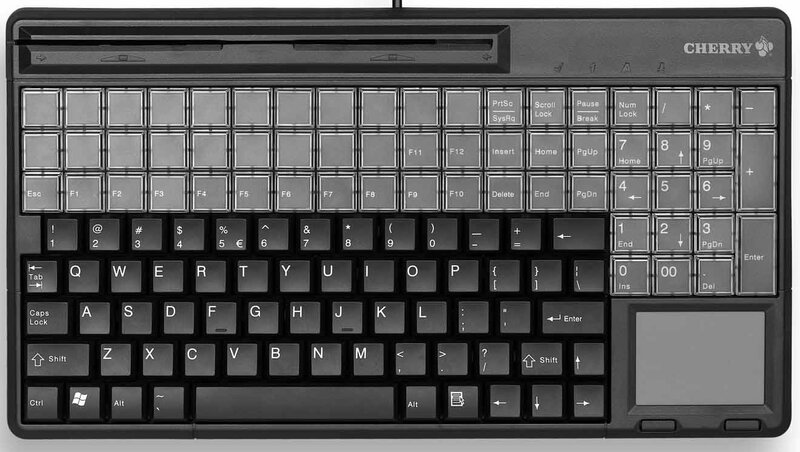 US Int'l 135 position key layout with 32 additional keys. 135 programmable and 54 relegendable keys. IP 54 spill and dust resistant key field. Includes ‘CHERRY Tools’ configuration software and UPOS drivers.